THE NSW government will be forced for the first time to reveal how much logging companies pay to fell native trees on publicly-owned land after a court ruled it was in the public interest that it do so. The Administrative Decisions Tribunal found yesterday that Forests NSW must hand over information contained in its wood supply agreements, denied to the environment group the Nature Conservation Council of NSW last year after a freedom of information request. Copies of the agreements were given to the council, but the Department of Trade and Investment blacked out sections that revealed timber price, types and amounts of trees and compensation payments made by the state government when logging companies could not extract all the timber they were promised. Two Boral subsidiaries joined the government in fighting to keep the information secret, arguing breach of commercial-in-confidence contracts. But, in a test of the Government Information (Public Access) Act, which has replaced freedom of information laws, the tribunal ruled the information be released. ''I agree with the applicant that there is a clear public interest in an agency that is dealing with public assets being accountable for the manner in which it contracts to sell those assets,'' the tribunal said. ''This interest is strengthened by the fact that the agreements were entered under a system that did not involve an open tender,'' judicial member Stephen Montgomery said. The council's chief executive, Pepe Clarke, said the judgment set a precedent for public disclosure of forestry operations as the government reviewed timber allocations in the north-east forests. The NSW Greens MP Cate Faehrmann said it was only right the contracts be open to scrutiny. 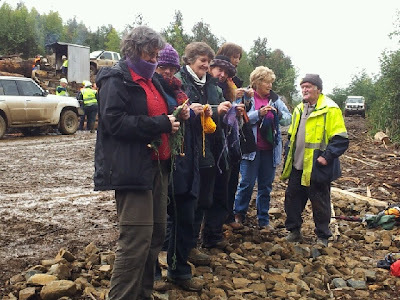 Community opposition to controversial logging near Toolangi continued this morning. 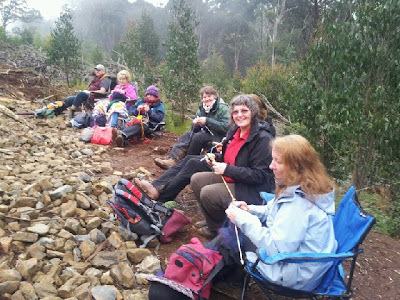 With knitting needles, chairs and chocolate, a knitting circle settled into a productive knit-in and a yarn, stopping logging for two and a half hours. Through the rising morning mist, a skein of six grandmothers and two grandfathers briskly walked up Monda Track to the notorious logging coupe of Leo’s Foot, on Mount Saint Leonard in the Yarra Valley. “Between us we have 28 grandchildren. We are all concerned they will never see our magnificent Mountain Ash forest,” says Kerryn Blackshaw, local Toolangi grandmother. When police arrived, the Community Yarn of Knitting Grands left peacefully, without dropping a stitch. Forestry Tasmania chairman Miles Hampton has resigned over the State Government's restructuring plan for the state-owned company. Mr Hampton said he could no longer support the policies of the Government and accused it of trying to starve Forestry Tasmania of cash. Resources Minister Bryan Green wants to create a statutory authority to take control of production forests from Forestry Tasmania. Mr Hampton said the decision was not in the best interests of the company and would result in its complete emasculation. In a carefully scripted statement, Mr Hampton said he had lost faith in the Government because it had broken assurances the company would retain control of production forests. Mr Hampton also used his statement to accuse the Government of starving the company of cash in order to justify bringing Forestry Tasmania under ministerial control. The Government had led him to believe the company would be left to continue as a stand alone entity but there had since been an "about face". "I do not believe that the Government has any intention of establishing a viable forestry business through its proposed restructuring of Forestry Tasmania," he said. He refused to take questions after giving his statement to the media. Mr Hampton's resignation is effective immediately. He was appointed chairman just three weeks ago, after serving five years on the board. The Government's move has also caused two industry signatories to the forestry peace talks to walk away from the negotiating table. The Forestry Industry Association and the Australian Forest Products Association say the move is an unnecessary proposal that undermines the peace process. A second industry player has walked out of the Tasmanian forest peace talks over the State Government's plan to restructure Forestry Tasmania. Acting Premier Bryan Green wants to create a statutory authority to take control of production forests from the state-owned company. The Forest Industries Association of Tasmania (FIAT) walked away yesterday and now the Australian Forest Products Association has joined it. The association says it is an unnecessary proposal that undermines the peace process. Its representative in the talks is Hans Drielsma, a former general manager of Forestry Tasmania. The Forestry Union says work on the Tasmanian peace talks will continue despite the industry groups refusing to return to the negotiations. The union's Jane Calvert says it does not spell the end of the peace talks which have been trying to resolve the state's decades-long forest wars. Ms Calvert also believes FIAT's actions will not delay the signing of a final deal. "There's a process going on at the moment of running a voluntary exit program and some modelling being done," she said. "So we're actually not around a negotiating table as we speak this week, or next, but we're not withdrawing from the process. "So as soon as that work's done we'll be back in, sleeves rolled up and I hope by then FIAT has its assurances and is able to join us." The Forest Contractor's Association is also sticking with the peace talks. Environmental groups have accused the forestry industry of holding Tasmania's forest peace talks to ransom. The Forest Industry Association of Tasmania (FIAT) will not return to the negotiations until the State Government ensures Forestry Tasmania will continue to control production forests. That has incensed environmental groups involved in the peace talks. Don Henry from the Australian Conservation Foundation says FIAT's actions are not in the public interest. "You shouldn't hold peace negotiations to ransom, that's a dangerous game," he said. The Wilderness Society has also criticised FIAT for walking out for a second time. Spokesman Lyndon Schneiders says the negotiations are the best way to reach a deal. "Then the concerns around what are future governments going to do have to be diminished," he said. "We've got concerns as well about what Will Hodgman's going to do into the future. "If we took that approach given Hodgman's been running round, saying he's going to tear up the agreement and start from scratch and give industry everything they want, we wouldn't be at the talks either." FIAT's Terry Edwards says it will not be the association's fault if the talks fall over. "Government can solve this today, if they are to make an announcement that satisfies the needs that we have," he said. It has whet Opposition Leader Will Hodgman's appetite for an election. "If the deal falls, so should the Government," he said. The Acting Premier has conceded there will be no deal to end the decades-long forest wars if industry does not sign on. But Bryan Green is not changing his mind. "We will continue to work with them, allow them to understand the process as it unfolds," he said. "We have said, just as we're doing with in the energy reforms, [we are] establishing a body to work through the restructuring process." Mr Green wants to set up a statutory authority to take control of commercial forests from Forestry Tasmania. He had hoped the plan would appease FIAT and entice it back to the forest peace talks. Will Mr Hodgman also believes Forestry Tasmania should maintain control over production forests. "It'll be just a colossal waste of time, money and effort and it will be another step in just trying to keep Nick McKim happy," Mr Hodgman said. The Greens want more detail before fully backing Mr Green's plan. Nonetheless, a cabinet sub-committee will meet tomorrow to deal with the issue. TAXPAYER-OWNED native forest logging company VicForests has recorded another financial loss. Environment groups and Greens have said it is "staggering that VicForests gets free land and trees to cut down but still manages to make a loss" and it would be cheaper to send its employees "to Bali to retire" than to keep the entity alive. But VicForests says it is looking to the "future after a challenging year" and blamed the high Aussie dollar, global economic conditions and legal expenses for the loss. The 2011-12 financial year is set to be the fifth running VicForests has failed to return any money to the taxpayer. VicForests clearfells state forest which it sells for around $130 million most years - just less than $650 million in the past five years. It has about 120 employees and will not be affected by recent Victorian Government cuts which savaged the Department of Primary Industries and TAFEs as it is considered a separate company - but Weekly Times Now has learned those being offered redundancies at the DPI have been encouraged to apply to government be "Forest protest managers". VicForests has lost money in three of the past six financial years. 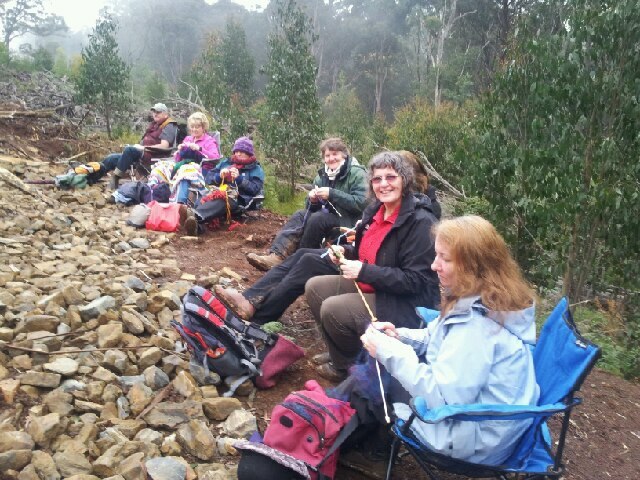 Environment East Gippsland coordinator Jill Redwood said VicForests was a "taxpayer-funded work for the dole scheme". "At $130 million (worth of) taxpayer gift a year for 120 employees . . . we're better off sending every person to Bali to retire than sending them out there to destroy our forests. The employment is miniscule, less than 1 per cent of the employment in East Gippsland (one of VicForests' two major harvest areas)." VicForests lost a court case to Environment East Gippsland when it was found to have planned to log threaten species habatit. It settled out of court last month on charges of logging rainforest laid by the Department of Sustainability and Environment. VicForests faces another legal battle in the current financial year as green group My Environment appeals VicForests right to log what the group says is habitat for Victoria's animal emblem, the endangered Leadbeater's Possum. The group lost its initial judgement against VicForests in the 2011-12 financial year. VicForests chief Robert Green said 2011-12 had been difficult financially "for many industries". "Our legal expenses were significant and, despite being awarded costs when the Supreme Court dismissed proceedings brought by an environment group in March, we do not expect to recover much of the expense incurred," Mr Green said. 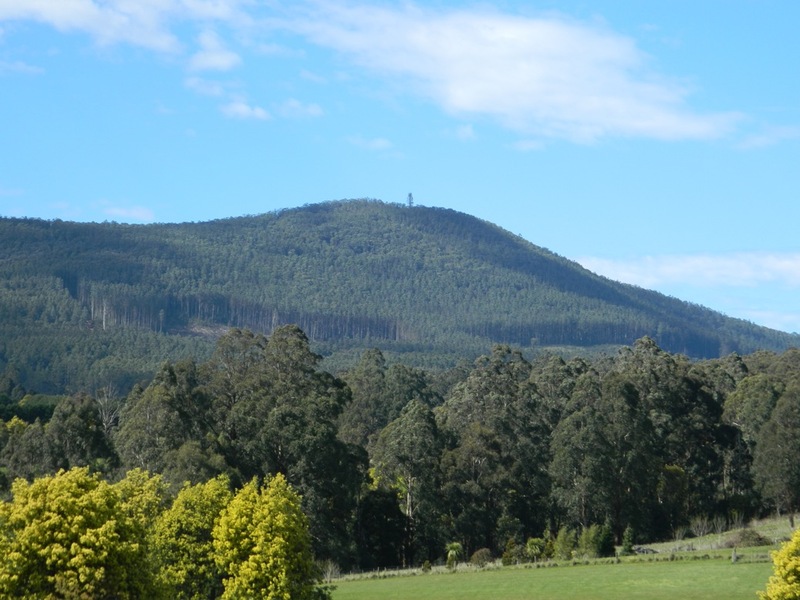 "Government support, an enthusiastic new VicForests' board and further investment by the private sector indicates the future remains healthy for the industry, and the thousands of jobs it provides in rural and metropolitan areas." Greens Senator Richard Di Natale said it was "economic lunacy" that "Victorians are actually paying Vicforests to raze our precious native forests and exterminate the Leadbeaters possum, the state's faunal emblem". Tasmania's forestry peace talks remain in limbo after forest industry signatories walked away. The Forest Industries Association of Tasmania (FIAT) is refusing to rejoin the talks because the State Government has broken a promise over the restructure of Forestry Tasmania. FIAT says Government officials gave assurances the state-owned company would retain control over production forests. Earlier today, acting Premier Bryan Green today announced he would push for the establishment of a new statutory authority to take control of Tasmania's production forests. Labor's minority government partner had been arguing for the forests to be transferred to a government department. "The industry had been concerned about ensuring that there is not ministerial control over the management of forests in Tasmania," Mr Green said. "I agree with that. We're putting in place a process to ensure effectively a body is developed to allow that to happen, it is independent from ministerial control. "What I'm looking to do is ensure that we get an outcome that everybody can be happy with." FIAT was threatening to walk away from the peace talks if the Greens got their way. Mr Green said he had found a "sensible" solution which he hoped would see FIAT remain at the table. But FIAT's chief executive Terry Edwards says the pledge falls "substantially short" of what industry requires to stay in the peace talks. Mr Edwards says the State Government had made commitments that production forests would remain with Forestry Tasmania. Members voted unanimously to stay out of the peace talks until the Government fulfil its original pledge. "When we signed the interim agreement we had been assured that the expectations we had about forest management would be met," he said. "We had been assured that. That assurance now hasn't been honoured and as a result the Government has now got the situation they now find themselves in." Mr Edwards says the association will stay out of the talks for four weeks to give Mr Green time to change his mind. "I want to give the Government a genuine opportunity to resolve this problem." "I don't want to talk about destroying these talks. "The process is still there, we're committed to continue to use that process to try and produce an outcome but we will not do it in circumstances where we cannot be assured that any outcome will be durable and this is, in that contest, a key durability issue." Greens leader Nick McKim had compromised, agreeing to consider Mr Green's plan to establish a new independent statutory body. But Mr McKim's stance on FIAT's push remains the same. "The Greens are not prepared to support those forests remaining with Forestry Tasmania," Mr McKim said. "We've been consistent about that since day one and that remains our position and will remain our position." ENVIRONMENT groups have launched a website mocking one of Australia's logging certification schemes. A website showing photos of logging operations certified by the Australian Forestry Standard was launched this week. The groups say the AFS approves "the most appalling logging practices like we see in Indonesia and Malaysia" - they prefer the rival Forest Stewardship Certification. The website http://australianforestrystandard.com/ carries the words "Australian Forestry Standard: Certifying Australian Forest Destruction since 2003". "We have created a brand new poster series to showcase some of the best standard-setting work right across Australia," the website says. "The Australian Forestry Standard (AFS) is endorsed by the Program for the Endorsement of Forest Certification (PEFC). PEFC has been condemned by environmental organisations across the world for endorsing the certification of forest operations that destroy biodiversity, revoke human and community rights, and fail to undertake adequate engagement with key stakeholders." It displays pictures of logged areas being burned (which logging companies do to aid regeneration after clear-felling) at AFS approved sites; of clear-felled areas approved by the AFS and of logs apparently left in the forest after AFS coupes were felled. AFS national secretary Richard Stanton declined to comment. Reflex Copy paper has lost its FSC over its use of native forest timber supplied by Victorian Government logging company VicForests, but has AFS certification. Auditors under AFS have never raised a breach against VicForests - an AFS board member - despite it being fined more than $200,000 by the Department of Sustainability and Environment for logging over allocation, losing a court case for planning to log threatened species habitat and being taken to court this year over alleged rainforest logging. AFS also renewed its certification of Forestry Tasmania in July, to howls from environment groups.